The University of Washington (UW) Adult Cardiothoracic Anesthesiology Fellowship is a one-year clinical fellowship based at University of Washington Medical Center (UWMC). The fellowship has been ACGME-accredited since 2008, and provides extensive experience with anesthesia and perioperative/periprocedural management of patients undergoing cardiac, non-cardiac thoracic, and intrathoracic vascular surgery, as well as non-operative diagnostic and interventional cardiovascular and electrophysiological procedures. It is the program’s goal to produce graduates who are highly competent in anesthesia and perioperative care for the cardiothoracic/cardiovascular patient, proficient in advanced perioperative echocardiography, qualified to provide consultant advice, and dedicated to leading and advancing excellent Cardiothoracic Anesthesiology practice. Please note that UW Adult Cardiothoracic Anesthesiology Fellowship training position appointments typically start on August 1. Fellow responsibilities in the cardiac operating rooms balance personal delivery of anesthesia/perioperative care with supervision and instruction of junior Anesthesiology residents, all under appropriate, frequently one-to-one, supervision by Cardiothoracic Anesthesiology faculty. Training in advanced perioperative transesophageal echocardiography is integrated into the Cardiac OR rotation experience. Perioperative/periprocedural TEE is utilized in virtually all cardiac surgical cases, in a proportion of transcatheter aortic valve implantations, most other transcatheter therapies for valvular and structural heart disease, and in many other cardiovascular interventions performed under general anesthesia. Fellows personally perform the majority of perioperative/periprocedural TEE studies, with direct supervision and guidance by Cardiothoracic Anesthesiology faculty who are either National Board of Echocardiography (NBE)-certified in Advanced Perioperative Transesophageal Echocardiography (12 of 15 faculty), NBE-certified in Adult Transesophageal Echocardiography (1 of 15), or testamurs of the Advanced Re-PTE pursuing NBE re-certification (1 of 15). The required critical care rotation experience on the UWMC Cardiothoracic Intensive Care Unit (CICU) offers exposure to a population of critically ill patients recovering from cardiac, thoracic, and vascular surgery. The UWMC CICU is a high-acuity and high-complexity unit with an emphasis on the care of patients after thoracic organ transplantation, patients with adult congenital heart disease, and patients after implantation of cardiac assist devices. Through a combination of clinical experience, bedside teaching, didactic lectures and conferences, and directed fellow reading, the CICU rotation enables learning of a systematic approach to the management of critically ill adult cardiothoracic surgical patients. All fellows currently complete a one-month elective rotation in the UWMC Echocardiography Lab. Fellows gain experience in lab-based and bedside 2D and 3D transthoracic as well as transesophageal echocardiography. The rotation experience will progress from the observation to the performance, under supervision, of echocardiographic examinations, and the offline interpretation and reporting, under supervision by UW Cardiology faculty, of echocardiographic studies performed by registered medical or cardiac diagnostic sonographers. 778 non-cardiac thoracic surgical cases were performed at UWMC in academic year 2016-2017. The program at UWMC provides experience with the full range of contemporary thoracic surgical practice including lung transplantation; open, video-assisted, and robotic lung resection including pneumonectomy; lung volume reduction surgery (both video-assisted and open); tracheal resection/reconstruction; pulmonary thrombendarterectomy; esophageal resection; and numerous endoscopic airway interventions. 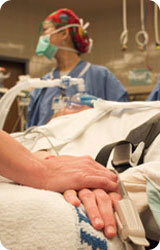 The lung transplant program at UWMC is one of the larger programs in the US. The rotation provides ample opportunities to become proficient in thoracic epidural catheter placement, lung isolation, management of one-lung ventilation, and anesthesia management for airway interventions. 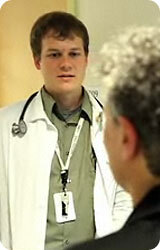 An elective rotation on the UWMC Cardiac Care Unit (= Cardiology critical care) is currently being developed. Elective rotations are based at University of Washington Medical Center, with the exception of the Pediatric Cardiac Anesthesiology rotation which is based at Seattle Children’s Hospital. Weekly Cardiothoracic Anesthesiology fellow seminars cover knowledge areas required by ACGME, and provide didactic education in perioperative echocardiography. This perspective is supplemented and enhanced by fellow attendance of relevant didactic lectures and seminars of the Cardiology, Cardiothoracic Surgery, and Critical Care Medicine fellowship training programs at University of Washington. The conference program includes the weekly interdisciplinary Cardiology Case Conference, a forum for review of interesting and challenging cases, often involving presentation of echocardiographic findings; weekly Cardiothoracic Anesthesiology TEE Review; weekly Anesthesiology & Pain Medicine Grand Rounds; and bimonthly Cardiothoracic Anesthesiology Journal Club. Clinical Interests: Cardiothoracic anesthesiology, echocardiography, physiologic monitoring. Research Interests: Clinical pharmacology, patient safety and outcomes. Personal Interests: Skiing, photography and cycling. Clinical Interests: Anesthesia for Cardiothoracic Surgery, Intraoperative TEE. Personal Interests: Contemporary fiction, biking, hiking, jazz. Clinical Interests: Adult and pediatric congenital heart disease. Research Interests: Use of dexmetetomidine in patients with single ventricle physiology and patients post-heart transplant. 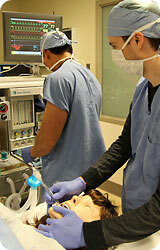 Professional Interest: Cardiothoracic anesthesiology, and more specifically in transesophageal echocardiography (TEE). Personal Interests: Jogging, golf, and family outings. 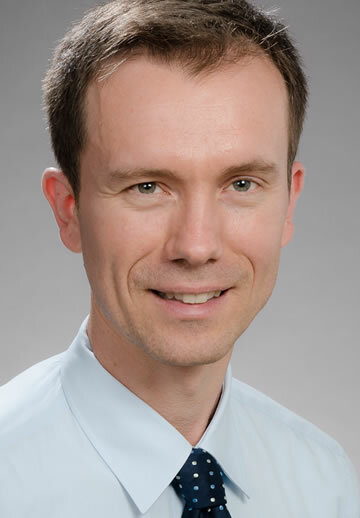 Professional Interests: Cardiovascular physiology, coagulation, echocardiography, and adult congenital heart disease. Personal Interests: He loves to spend time outdoors with his family, cycling, mountaineering, and reading. According to ACGME, effective July 1, 2016, “All required clinical education for entry into ACGME-accredited fellowship programs must be completed in an ACGME-accredited residency program, or in an RCPSC-accredited or CFPC-accredited residency program located in Canada. Prior to appointment in the program, fellows must have successfully completed an ACGME- or RCPSC-accredited residency in anesthesiology.” While current ACGME program requirements for Adult Cardiothoracic Anesthesiology allow acceptance of "exceptionally qualified applicants" who did not complete an ACGME- or RCPSC-accredited residency in anesthesiology, acceptance criteria are extremely restrictive. This means that, in general, only current trainees in ACGME- or RCPSC-accredited Anesthesiology residency programs with a realistic expectation of successful training completion before August 2020, and recent graduates of ACGME- or RCPSC-accredited Anesthesiology residency programs, are eligible for appointment to our 2020-2021 fellowship positions. The UW Cardiothoracic Anesthesiology Fellowship program participates in the nation-wide Adult Cardiothoracic Anesthesiology Fellowship Match organized by SF Match. SF Match now provides a Centralized Application Service (CAS) for Adult Cardiothoracic Anesthesiology fellowships. Applicants must complete the online CAS application form and submit three (3) letters of recommendation to SF Match - instructions can be found on the SF Match website. Other required documentation is listed below and should be submitted directly to the program. The UW Cardiothoracic Anesthesiology Fellowship program currently does not have a program-specific application deadline but is bound by SF Match timelines. Applicants are encouraged to carefully review the information under Timetable on the SF Match website. As explained above, an online application and three (3) letters of recommendation must be submitted to the SF Match Centralized Application Service. Please note: Official medical or osteopathic school transcripts must be sent directly to the program by the office generating the transcript.